Do you own or manage a accommodation focused on the tourism industry in Bali? or any other tourism related business in Bali, we can get your business seen by Bali tourists all over the world. Bali is one of the tourism capitals of the world with millions of tourists travelling to Bali each year. Every single tourist is a potential customer for your business. 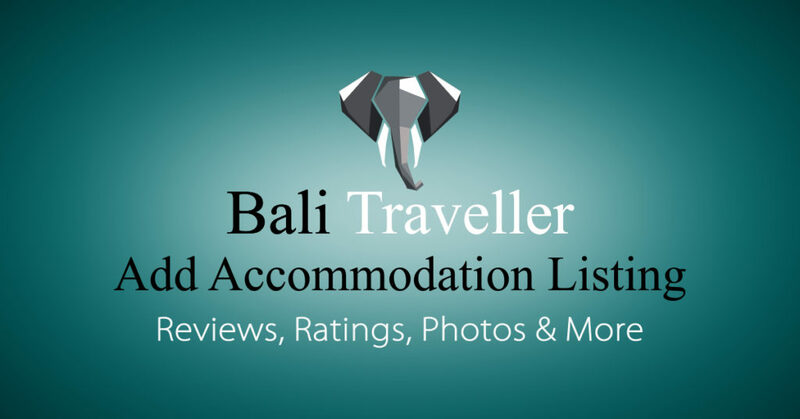 Register your accommodation in Bali with Bali Traveller for Free today and get more potential customers viewing your business more often.